Learn how to do the Jamaican Flag Yoyo Trick. 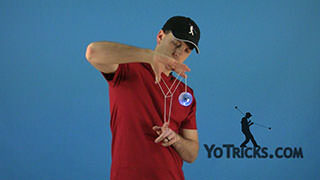 Jamaican Flag Yoyo TrickThis trick is called the Jamaican Flag, and it looks like this. 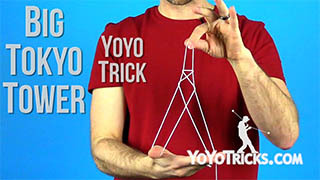 At the end of this video I am going to show you a couple of variations on this trick that are kind of neat, so you will want to stick around for that. 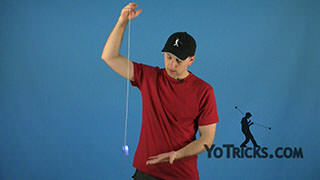 If you are having a difficult time getting the yoyo to spin long enough to do the trick, then check out out video on the Sleeper, because that will help you out. 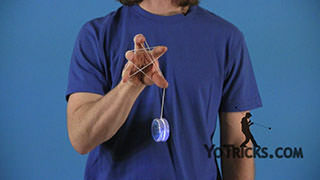 For now, we are going to start with the yoyo just hanging loose at the end of the string. We are going to take our opposite hand, and with all four fingers we are going to grab the string and pull it across our body. You want to make sure that your fingers are pointed at you. 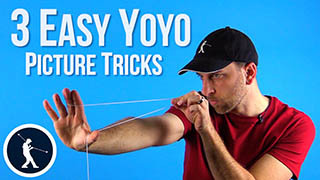 We are going to do the same exact thing with our yoyo hand. 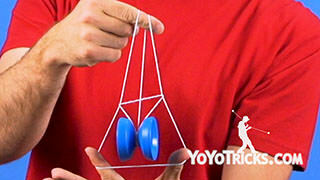 Grab the string and pull it across with your fingers pointing towards you. Then we are going to do that a third time with our opposite hand. You see you are starting to get an X there. The flag is almost done. 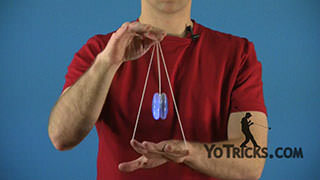 At this point we are going to drop our pinkies, and with the pinky on our yoyo hand we are going to come down and grab the string and pull it across. There you see, you have the flag. We are going to go through that one more time, and I will show you some of the problems people sometimes run into. 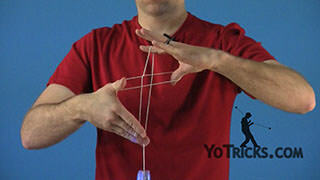 The first one is a tendency to grab the string to start off like this with their hand upside down. You don’t want to do that. 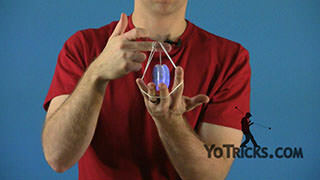 You want your thumb to be at the top, pinky at the bottom, and fingers pointed towards you. That is the really important part. 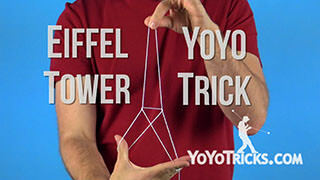 And the same thing with your yoyo hand. Same exact thing. The next problem is with this third step where you come down and you grab it. You also want to have your thumb at the top and pinky at the bottom. 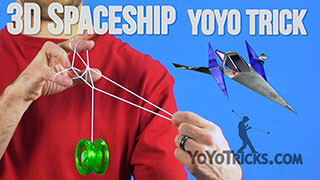 Sometimes people will grab it with the string upside down. That is going to make your flag look wrong, so you don’t want to do it that way. Make sure your pinky is at the bottom and your thumb is at the top, fingers pointed towards you. 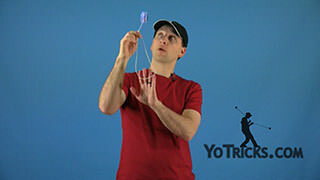 Then you are going to take the pinky of your yoyo hand and come down and grab your flag to complete it. 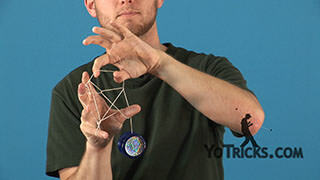 One of the variations that you can do is turn your yoyo hand, rotate it towards you, with your thumb pointed at you, and you get a little four-pointed star. That looks kind of nice. 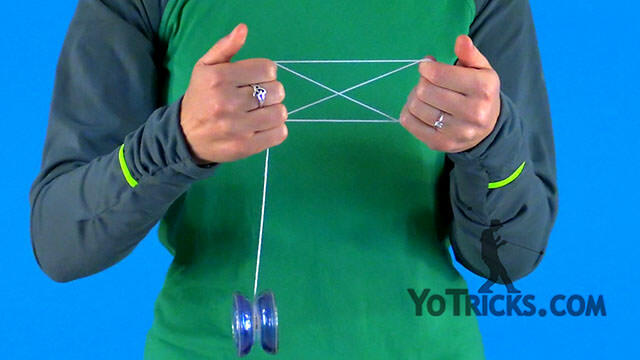 A second variation is to rotate your opposite hand, spread your fingers out underneath and you get a double cradle that you can rock the yoyo through, and that is kind of fun. 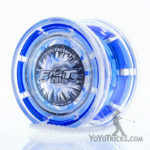 I will show you that spinning.